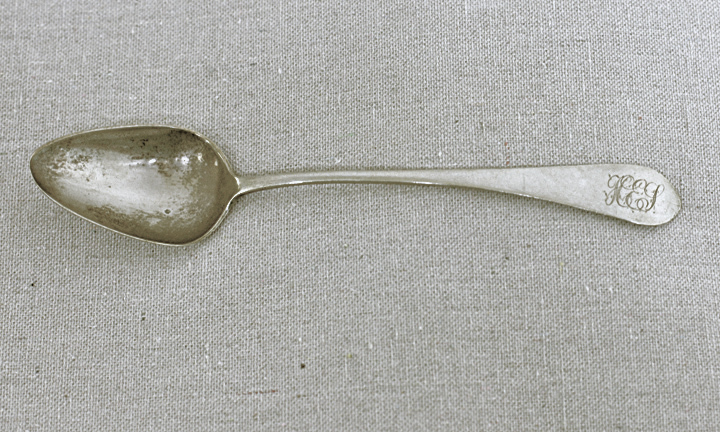 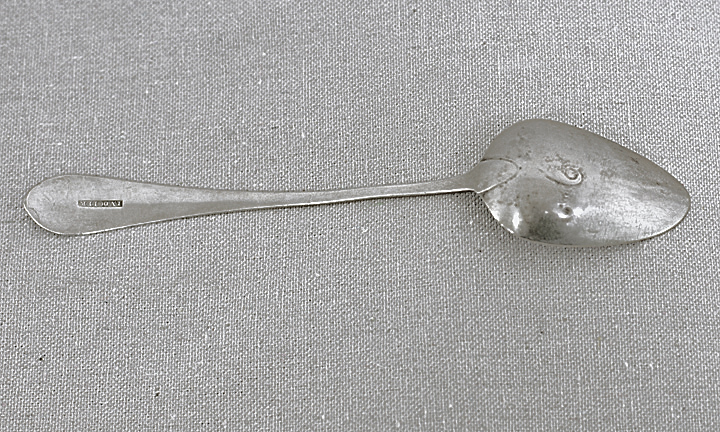 Circa 1810 - Coin Silver Eagle back spoon, marked I Vogler for John Vogler, Salem, N.C. 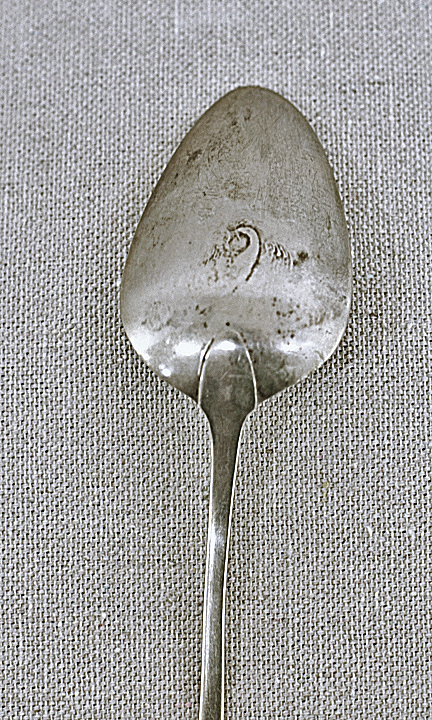 Slight wear to the tip of the bowl, scratching and tarnish. 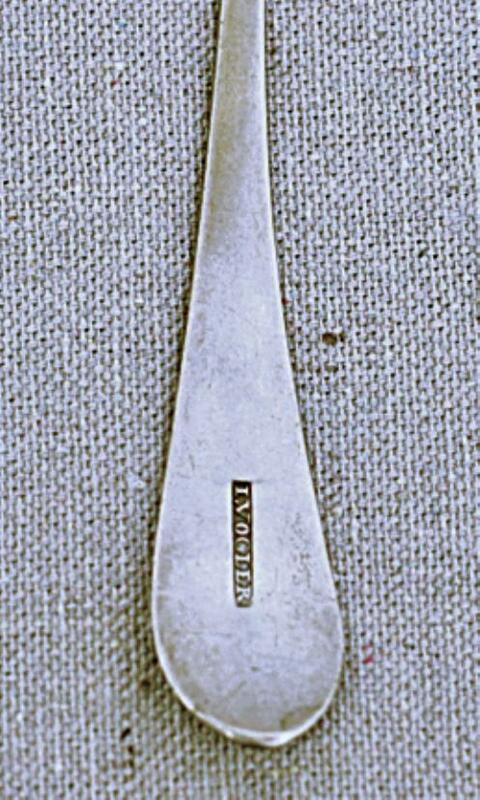 Handle with a slight bend.